Down To Earth writers travelled across Africa to chronicle climate change. Their dispatches point to a great churning in the continent. Starting from a herder to an environment minister, from a fishing community to a disaster manager, everybody is overwhelmed by the impacts of climate change. Madagascar is, arguably, one of those countries on Earth that everybody will rush to protect. More than 80 per cent of unique flora and fauna species of the African continent are found here. But this biodiversity hotspot is staring at a meltdown. Recurring floods and droughts have taken a toll on not only its 26 million citizens, but also on its rich and rare biodiversity. The residents of Madagascar are paying for a crime they are not party to. With near zero per capita emission of greenhouse gases (GHG), the country is one of the worst victims of climate change. “I can’t describe the situation,” says Nazaire Tsimanova Paubert, a social scientist based in Ambovombe city, who is overwhelmed by the severity of the three-year long drought that has gripped the southern region of the country. Most of the wells in villages have dried up. In 2017-18, the southern half of Madagascar received below average rainfall, says a forecast of the Famine Early Warning Systems Network. “We predict that the water reserves will dry up shortly,” says Yves Rakotoarison, a water, sanitation and hygiene expert with Action Against Hunger, a French non-profit working in Madagascar. Residents in Ambovombe and adjacent districts are struggling to access water. They pay US $0.6 for a container of 20 litres. Over 81 per cent of Madagascar’s population subsists on the international poverty threshold of US$1.25/day. “Their food stocks are about to be exhausted as there is little scope to farm due to deficit rain,” says Paubert. Worse, the country simply doesn’t have the capacity to meet this unprecedented scarcity of water. “We can only meet 15 per cent of the total needs,” says Derry Mann Herindrainy, director general of Alimentation en Eau dans le Sud, the state-owned water supply company. Drought has haunted southern Madagascar for centuries. But the impacts of climate change have aggravated the situation. Three years ago when the current spell of drought set in, the United Nations estimated that nearly 1.8 million people were food insecure. The poor people consume fruits of cactus which grows in the wild. The cattle too feed on cactus leaves. “Due to overexploitation, there has been a significant decrease in the cactus forests,” says Mahatante Tsimanaoraty Paubert, an ecological expert. Madagascar is the world’s fourth largest island and has the highest risk from cyclones in Africa. Between 1984 and April 2018, it experienced 58 episodes of storms, torrential rains and strong winds—a three-fold increase over the previous 20 years—killing 2,102 people, displacing 1.5 million and affecting over 4 million people, according to the Bureau for Risk and Disaster Management. The country hasn’t regularly calculated the loss and damages from climate-related events. Way back in 2008, there was an estimate after three consecutive severe cyclones that hit the country. It snapped 4 per cent of the country’s GDP. The recurrence of hailstorms that seriously devastate fields and plantations has shocked communities. “Hailstorms were rare in the past and it never happened twice in a single season and in the same place. Hailing is now frequent, hitting the same place multiple times and the whole year round,” observes Daniel Razafindrakoto, a farmer in Morarano Gare, Moramanga, part of Madagascar eastern highlands. Analysis of temperature for the last 70 years shows that winter is getting shorter. Huge difference between temperature at ground level and that of the atmosphere results in hailing or heavy rains within a short time. In effect, around three-fourths of Madagascar territory suffered from abrupt weather pattern changes due to the alternation of extended dry sequence and rainy season in 2016-2017. A churn is underway across Africa. An era of civil conflicts that followed centuries of colonial plunder across the continent seems like a thing of the past. Just as the majority of African nations were scrambling out of violent conflicts, the challenge of climate change has put the aspirations of the entire continent in serious jeopardy. The immediacy of managing disruptive climate events has displaced governance priority of bridging the development deficit. More than 2,000 natural disasters have hit Africa since 1970 affecting 500 million people and killing 0.9 million. People have one common query: why Africa? The irony is hard to miss. While Africa is responsible for barely 7 per cent of the total GHG burden of the world, climate change is both figuratively and literally reshaping the continent. Several reports have noted the particular vulnerabilities of African populations to climate change (see ‘Changing face of Africa’,). While the Intergovernmental Panel on Climate Change (IPCC) says that the rate of increase in temperatures across Africa is surpassing the global rate of temperature increase, analysis by Washington DC-based Brookings Institution says that seven out of the 10 most climate vulnerable nations in the world are located in Africa. Warming in Africa has exceeded the limits of natural variability. According to the IPCC’s Assessment Report 5 (AR5), the near surface temperatures have risen by 0.50 C over the past century. Despite the size and geographical spread of Africa, the only exception to the observed heating trend comes from the central and interior regions of Africa. But even here, there are problems. “It is very likely that mean annual temperature has increased over the past century over most of the African continent, with the exception of areas of the interior of the continent, where the data coverage has been determined to be insufficient to draw conclusions about temperature trends,” says AR5. By the end of the century, most models show that temperatures across the continent under the “business-as-usual” scenario will be about 3-60 C higher than the average temperature observed at the end of the 20th century, which is already close to being 0.50 C more than average temperatures at the beginning. AR5 notes that the maximum change in temperature by the end of the century is likely to occur in the northern and southern parts of the continent. But the fastest rate of change is expected to occur on the western side. “However, in the tropics, especially tropical West Africa, these unprecedented climates are projected to occur 1 to 2 decades earlier than the global average because the relatively small natural climate variability in this region generates narrow climate bounds that can be easily surpassed by relatively small climate changes,” says the report. While the AR5 regional profile has singled out Ethiopia and parts of eastern Africa for higher incidences of heat waves, more recent studies have suggested that the problem is likely to affect the entire continent. A study published in Environmental Research Letters in 2016 found that even modest warming of 20 C in global average temperatures would be enough to make heat waves a completely normal occurrence. Since Africa is situated between the Tropics of Capricorn and Cancer, it is likely to be the worst affected. People in Africa are being introduced to the impacts of climate change in innumerable ways. Take the case of the Karamojong farming community in Katanga village near Moroto town in northeastern Uganda. Every morning farmers gather around an old radio set. They attentively listen to the latest weather forecast. The region’s landscape of lush grasslands has completely dried up. 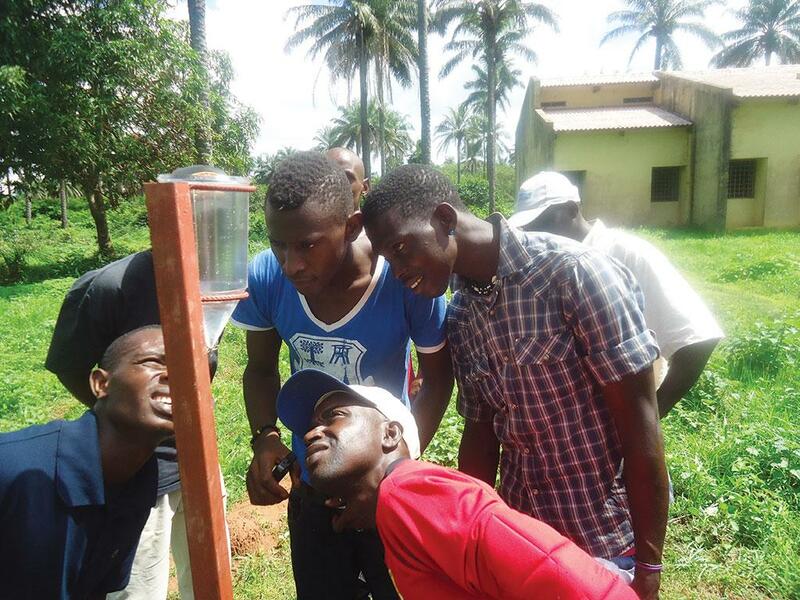 Most of the listeners belong to the local Farmer Field School, an institution initiated by the Food and Agriculture Organization (FAO) to sensitise communities on the perils of erratic weather events and also to equip them to prepare for it. Many of them say: “We wait for early warning about impending disasters more than rain”. “We usually receive rain once a year from July to October. But this year, there was no rainfall,” says Gloria Ato, a farmer who grows sorghum. One can sense the depression of farmers like Ato who have come to know through the weather forecasts that the dry spell would be longer this year. 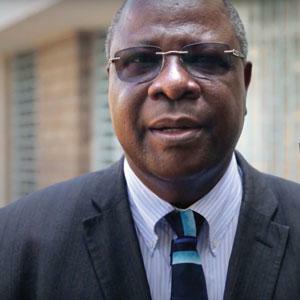 Lawrence Biyika Songa, chairperson of the Uganda Parliamentary Forum on Climate Change, says, “We are reeling under the impacts of climate change. It is manifesting in the form of prolonged dry spell and flooding.” In Uganda, landslides have been reported in the mountainous areas in the east at the slopes of Mountain Elgon and in the west around Mufumbiro and Rwenzori ranges where there has been rampant deforestation. “Landslides have become frequent. This has never occurred in Ugandan history,” says Songa. Flash floods amid prolonged dry spells have caused soil erosion and this has degraded agricultural lands. What has made matters worse is disease and pest attacks on major food security crops such as cassava, banana, beans, rice and groundnuts among others. For instance, coffee, which is a key cash crop of the country, is affected by wilt disease and twig borer. On the other hand, heat waves are so severe that there are widespread local clashes over access to water resources. IPCC says that average temperatures in Uganda will increase by up to 1.50 C in the next 20 years and by up to 4.30C by the 2080s. Rising temperatures are altering the landscape of Africa. In March 2018, a study published in the Journal of Climate shows that the largest desert in the world—the Sahara—has been expanding due to shrinking rainfall and extended dry conditions (see ‘Bone dry’). Armed with 93 years of field and satellite data, researchers say that the Sahara has expanded by about 10 per cent—close to a staggering 1 million sq km. If it were a nation, the expanded area itself would be the 30th largest country in the world. In southwest Africa, there are reports that the hot Namib Desert too is expanding. In the latter half of the 20th century, the continent has been witnessing extended spells of drought and extreme rainfall. The rapid and successive swinging between dry and wet conditions has devastated regions in the south and east of the continent. According to the IPCC report, it is “very likely” that the northern and southern parts of the continent will experience a decline in precipitation levels and undergo more intense dry conditions in the future. At the same time, the eastern and central regions are set to have a wetter future. However, wetter doesn’t necessarily mean better. IPCC notes that over the last 30-60 years, extreme precipitation changes alternating between tempestuous rains and prolonged droughts have been observed with increasing frequency. In Zambia, droughts, floods and other climate events inflict annual damages of around 0.4 per cent of the country’s GDP, says Zambia’s Minister of Agriculture Micheal Katambo. Without adaptation measures, the intensified effects of climate change and variability are expected to sap around one per cent of annual GDP. “We are in deficit to fund own development. Climate change has added a new dimension,” he says. Yande Mwape, National Coordinator for Zambia’s Disaster Management and Mitigation Unit, confirms that government’s spending has increased for disaster responses. 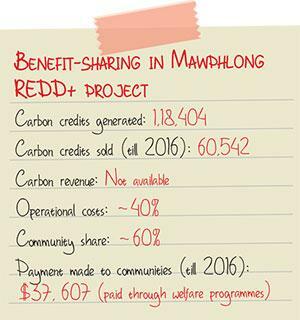 “We are moving money and resources meant for development programmes to disaster response and mitigation”, says Mwape. 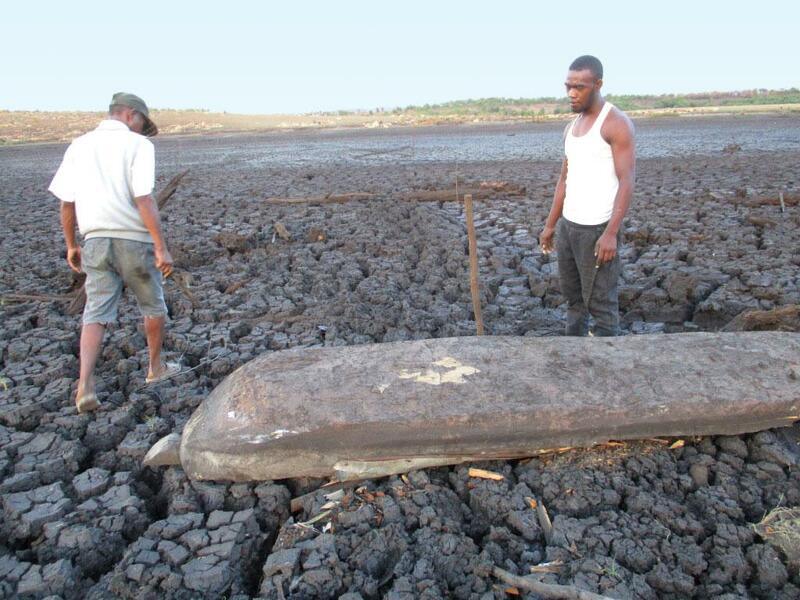 In the east part of Zambia, the adverse effects of climate change are much more evident. In Feira, a village in the east of Zambia, the returns from farming have diminished due to severe droughts. Says Eva Mwanza, a local resident, “Rainfall is insufficient for cultivation and wild animals wander in the fields destroying crops.” “Rivers never ran dry earlier,” says Andrew Zulu, another Feira resident. 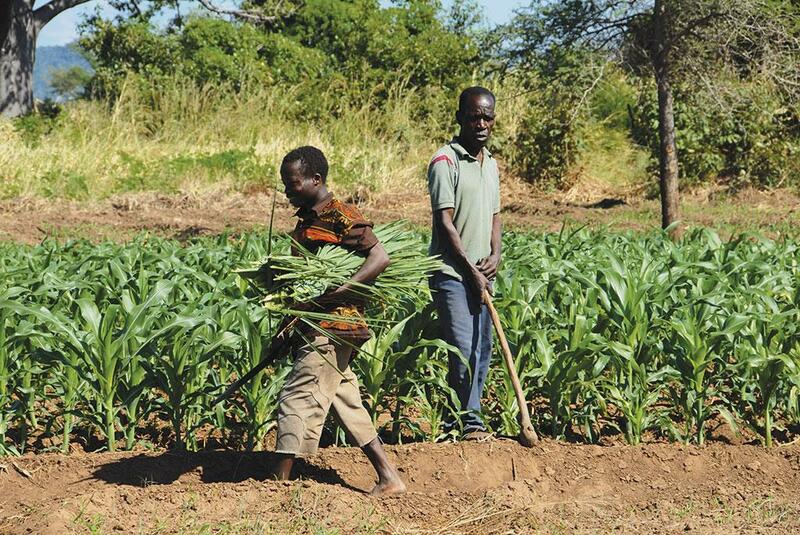 Frank Kayula, president of Small-scale Farmers Union, says most small-scale farmers are unable to venture into irrigation farming due to lack of financial support. Most products being offered by financial institutions are suitable only for large-scale commercial farmers. “With the current climatic challenges, farmers need other sources of water to continue growing crops and stop depending on rain,” says Kayula. Climate change has also begun to affect Zambia’s tourism industry. If drying up of water sources continues at the current pace, the Victoria Falls—known as the seventh wonder of the world—could turn into an empty ravine in about 50 years. Mwape says extreme weather is affecting wildlife and flora alike. By 2020, between 75 and 250 million people in Africa are projected to be exposed to increased water stress due to climate change. In some countries, yields from rain-fed agriculture could drop up to 50 per cent. This is because traditional water sources are drying up. Take Ethiopia for instance. Known as the continent’s water tower, the country is confronting huge challenges of disappearing lakes and rivers. Zewudu Molla, a farmer who grows vegetables using water from the Lake Ziway in the Rift Valley Basin, says that tapping the lake’s water is no longer possible. “The lake has shrunk so much that there is a big landmass between my farm and the water area of the lake,” he says. Ethiopia has already lost one of its great lakes, the Haramaya Lake. The lake, which once covered 16 km and had a depth of over 9 metres has vanished. Harar city, which was dependent on its water, is now searching for an alternative source. Fishing communities have become climate refugees. Ethiopia has 12 major river basins and most of its lakes and rivers are found in the Great Rift Valley, where the country shares cross boundary water with Kenya and with other lower riparian countries. Zinabu Gebre-Mariam, a professor with the Ethiopian Hawassa University, says that increasing water demand from many cities and towns located along the Rift Valley lakes is drying up the water sources. Debasu Bayleyegn Eyasu, director general of Climate Change Implementation Coordination wing of Ethiopia’s environment ministry, says high evaporation due to increasing temperature is adding to the problem of overexploitation. “Temperature is usually higher in the Rift Valley basins than in other highlands,” he says. While extreme weather is exposing Africa’s infrastructural and economic frailties, another creeping risk that is becoming more evident is the impact of changing climate on food security in the continent. Global warming of 20 C would put over 50 per cent of the continent’s population at risk of undernourishment. Projections estimate that climate change will lead to an equivalent of 2 to 4 per cent annual loss in GDP in the region by 2040. Currently, there are about 224 million undernourished people in the continent—jumping from 21 per cent in 2015 to 23 per cent in 2016, according to a 2018 FAO report. Over the past decade or so, warnings of possible famines in parts of eastern and southern Africa following long periods of protracted droughts have become common. In 2017, such warnings were issued for several nations in eastern and southern Africa. Ocean warming and acidification are depleting marine ecosystems, which provides nutrition to millions of inhabitants living on Africa’s large coast (see ‘When oceans fill apart’ on p48). An analysis of fisheries in 132 countries by Edward H Allison et al in 2009 revealed that about two-thirds of the most vulnerable countries are situated in Africa. The worst affected are likely to be coastal countries in West Africa where value of fish is expected to decline by more than 20 per cent, equivalent to an annual loss of US $310 million per year by mid-century, according to AR5. The problem of nutrition depletion is not limited to marine ecosystems. Cropping systems across Africa have been found to be incredibly stressed and are slated for significant declines in production in the coming decades. About 70 per cent of Africa is dependent on small and rain-fed agriculture that is expected to be badly hit by a changing climate. IPCC notes that maize yields are likely to reduce by about 22 per cent across sub-Saharan Africa, while Zimbabwe and South Africa are likely to experience yield declines of over 30 per cent by the mid-century. In the same period, wheat production would drop by as much as 35 per cent. Though some produce might show modest increases in the immediate future, this is likely to be offset by declines in the production of most cereals and horticultural crops. The food shortage is linked inextricably with the availability and access to water. Satellite images of the receding Kilimanjaro glaciers or of rapidly shrinking major lake systems like Victoria, Chad or Turkana have in recent years gone viral on the social media. These images are representative of the widespread shortages of freshwater and surface water sources across the African landscape. Combined with an increasing population, which will see Africa’s population nearly quadruple in a little more than 100 years, climate change is likely to put added stress on the availability and access to freshwater. There are already numerous reports of clashes and conflicts between different communities on access to water. The escalation of clashes over natural resources into full blown armed conflicts is exemplified by the case of Boko Haram, the notorious militant group supposedly active in Nigeria, Chad, Niger and Cameroon. In fact, a 2017 resolution published by the UN drew direct links of the armed insurgency terrorising large parts of northern Nigeria with the drying up of Lake Chad—it has shrunk by about 90 per cent in just four decades and still supports around 17 million people. Early this year, the UN Security Council expanded on the resolution and declared that environmental changes, depleting resources and desertification were posing clear threats to the stability of West Africa and the Sahel. The two regions put together house 26 countries, which is nearly half of the continent. Climate change has also put coastal ecosystems under a serious threat. Across Africa, Ghana has the highest concentration of people and infrastructure along the coastal belt. 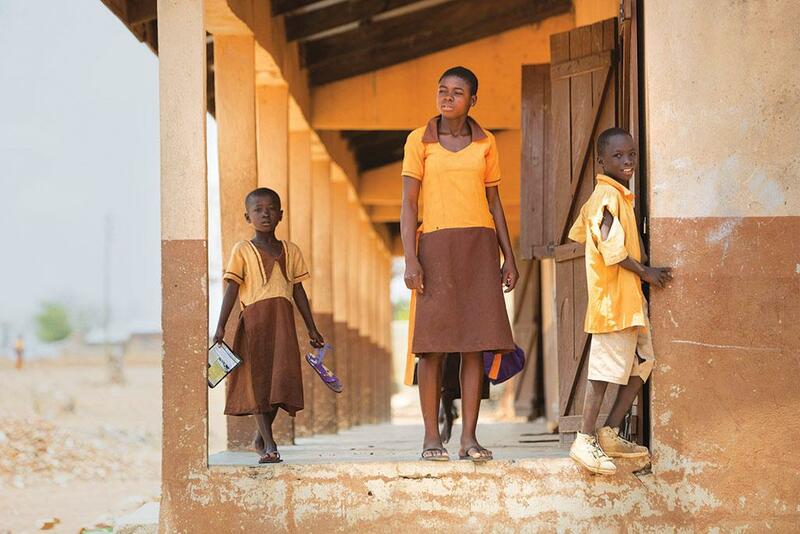 More than 2.5 million Ghanaians have built their homes along the coast, which stretches for 550 km. Fishing is the main source of livelihood for these residents. But over the last four decades, hundreds of these homes have submerged into the Atlantic Ocean. In fact, large parts of Ghana are now under sea water. Take Kporkporgbor for instance. It used to be a vibrant coastal community in the Keta Municipality of the Volta Region. The community had more than 50 houses, a church, playground and a population of more than 500 people. Today, the sea has swallowed all, except one of the houses. “Everybody is affected. There is no work. People have nowhere to sleep. A lot of them have moved out of the district,” says a former resident. It’s usually a gradual erosion of the land. High tidal waves sweep the ocean water onto the land. After some hours, the sea dissolves portions of the land into the water. Close to the submerged town is another on the verge of extinction, Fuveme, which had a population of more than 1,500 people. 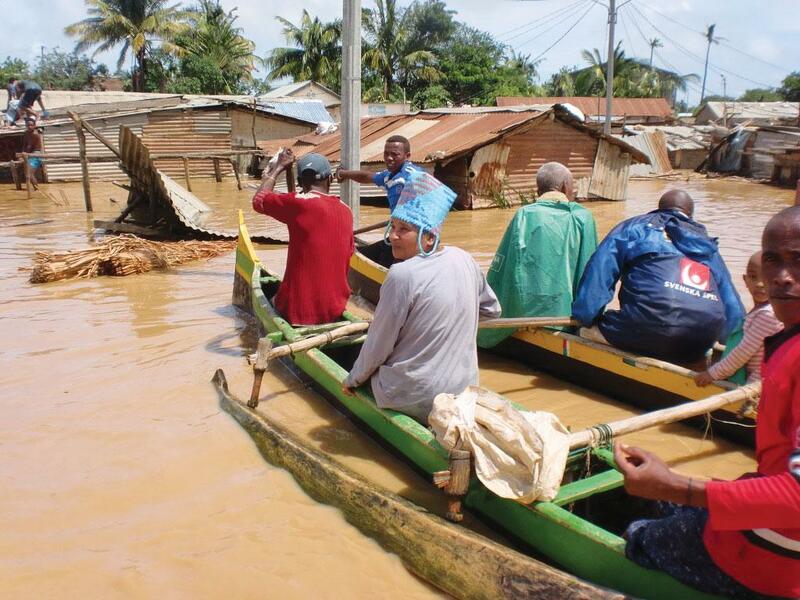 Over the last 30 years, the local government representative, Oswald Etse Kpodo, says the sea has expanded by about 400 meters into Fuveme, swallowing more than 150 homes. He estimates that about 70 per cent of the community’s land has already been lost to the sea. Like Fuveme, two and half million people living along Ghana’s coast are at risk of losing their homes as a result of the increasing sea level. In Keta Central in the Volta Region, a map that compares its land size between 1910 and 1999 shows about two-thirds of lands in the Keta Central Electoral Area have been lost to the sea. Chris Gordon, director of the Institute for Environment and Sanitation Studies at the University of Ghana, is worried that there is no end in sight to the problem of coastal erosion. “We are now operating in an environment of climate change-induced sea level rise… Under normal circumstances we are okay. But when we have high tides, coupled with a storm surge and high winds, then you find that the coastline has been overrun and the water comes in,” he says. Over the past 15 years, several studies have warned of climate change and environmental stressors intensifying and aggravating regional, ethnic and resource-driven conflicts. Conflicts have been reported over land and water from Kenya, Tanzania, Uganda, Somalia, Sudan, Zimbabwe and Lesotho apart from West Africa and Sahel. In recent years, waves of dangerous migration across the Mediterranean into Europe have dominated the news. Outmigration from sub-Saharan and North Africa has been linked directly and indirectly to environmental changes and conflicts (also influenced by environmental changes). While migration depends on several complex social, economic, political and environmental factors, estimates suggest that by the mid-century, more than 200 million people could be on their way out of the continent unable to contend with the ground realities. This number would account roughly for 10 per cent of Africa’s population in the mid-century. Africa carries a double burden. One is to climate proof itself to save its natural resources-dependent economy. The other one is to maintain the global economic growth because the continent is also a major exporter of raw resources that run the modern economy. According to the World Bank, most of the shocks caused by climate change are also the causes for poverty in the continent. “The consequences of climate change for Africa are devastating and threaten to push millions of people into extreme poverty by 2030, largely due to lower crop yields and higher food prices, and negative health impacts,” says Benoit Bosquet of the World Bank. 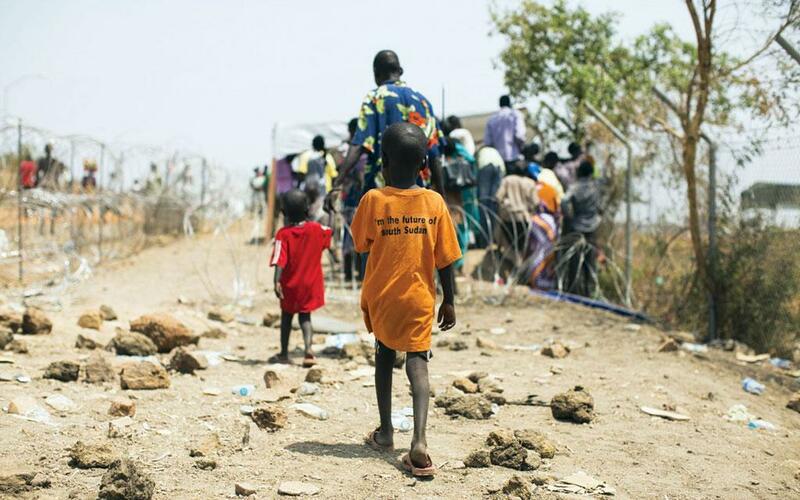 This projection is already playing out in South Sudan, the world’s youngest country. According to the 2017 Climate Change Vulnerability Index, it is one of the five most vulnerable countries. Ask the 39-year-old logger, John Makuach Deng, who doesn’t understand climate change, but admits that without cutting a tree he can’t survive. About 35 per cent of the country’s land was once covered with trees. Today it has dropped to just 11 per cent, according to the environment ministry. South Sudan is currently embroiled in a conflict that has killed tens of thousands of people, displacing nearly two million of them. But, while up to 95 per cent of the South Sudanese population is dependent on climate-sensitive activities for their livelihoods, such as agriculture and forestry, the ongoing civil war has worsened the problem. South Sudan has no forestry policy and its authorities are worried they could lose the country’s tropical forests, unless stringent measures are put in place to curb rampant illegal logging. “People are taking advantage of the insecurity,” says Alfred Lado Gore, South Sudan’s minister for the environment, adding that due to the ongoing conflict, there is no supervision at the country’s borders, even though South Sudan has banned the export of charcoal. “The situation of uncontrolled illegal logging, mining, poaching, charcoal trade, and other natural resource exploitation in the country is getting worse,” acknowledges Jaden Tongun Emilio, the chairperson of the Natural Resource Management Group of South Sudan. He calls for the enactment of a natural resource enforcement law. Despite concerns from conservationists and authorities, for poor people, forest logging and charcoal production is their only livelihood source. This is the dilemma of countries that don’t contribute to global warming but now have to reorient their livelihoods to mitigate it. That AFRICA'S deserts have been in a state of expansion is no secret. Archaeological records suggest that the continent has been becoming drier and more arid for nearly 5,000 years. Along with the massive deserts that stretch from the eastern to the western part of the continent, dry lands constitute more than two-thirds of the continent's surface area. According to estimates, these drylands are estimated to support nearly half-a-billion people. Two-thirds of Africa's cultivable lands, one-third of its grazing lands and 20 per cent of its forests have already turned to dust. But while it may not be new, the rate and expanse of degraded and desertifying lands is unprecedented. In late March this year, a worrying fact came to light. The Sahara desert, approximately the size of the US, had expanded by a mind-boggling 10 per cent since 1923. All of it in the Sahelian belt and Central African region that stretches alongside the Sahara desert to its south. Across the Sahel, temperature increased by up to 20 C over the last century which is close to double the observed global average temperature increase. The risk of desertification affects from around 30 per cent of the total land area towards the western parts in Ghana and Nigeria to around 80 per cent in eastern countries like Ethiopia and Kenya. And this trend is not limited to the Sahel and Central Africa. 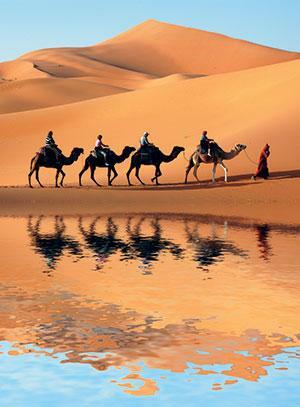 Two of Africa's three hot deserts are in the south, namely the Kalahari and the Namib deserts. While the Namib stretches along the coast in Namibia and South Africa, the Kalahari is more expansive, spreading across Botswana, Namibia, Zimbabwe, Zambia and Angola. Rainfall, in agreement with previously made projections, shows a declining trend in the already dry regions of southwest Africa. Intense droughts over the last 50 years, an especially in the last decade, have contributed to a creeping expansion of degraded and dry lands. While the degradation of land is worrying in itself, it is compounded by population pressures. Sub-Saharan countries have among the fastest growing populations of the world with several countries exhibiting more than twice the global average. Worse, close to 80 per cent of the population is dependent on land-based natural resources and subsistence farming both of which are under-threat by expanding deserts and degraded lands. As the population continues to increase through the first half of the 21st century, the stress on natural resources is expected to exacerbate human conflict and migration. The 1992 Earth Summit in Rio recommended the formation of a convention to combat desertification which came into force in 1996. But despite 20 years of its existence, the United Nations Convention to Combat Desertification (UNCCD) is yet to gather steam in its efforts to halt and ultimately reverse the terrifying trend of quickly degrading lands, especially in Africa. In 2007, the Great Green Wall Initiative was launched as a collaborative effort to reforest and restore a 16 km-wide corridor stretching 8000 km from west Sahel to the east with a total expected outlay of US $8 billion. According to UNCCD, more than 20 million hectares have been restored under the initiative however success is not consistent across the Sahel. In 2015, while the world was preoccupied with the Paris Agreement and its potential to address climate change, a first-of-its-kind pan-African initiative known as the African Forest Landscape Restoration (AFR100) was launched in relative obscurity. Under the initiative, 26 sub-Saharan African countries committed to restore 100 million ha of degraded and deforested land by 2030. More than two years since its launch, the focus now is to move beyond commitments and towards implementation and nations are actively developing restoration strategies. It's odd. Every year Africa bears a major brunt of natural disasters. Yet, its weather infrastructure system is both outdated and dilapidated. Worse, the continent has the lowest coverage of weather observation networks, making it difficult to generate reliable data to mitigate climate change impacts. According to a World Bank report published in September 2017, some 54 per cent of the continent’s surface weather stations and 71 per cent of its upper-air weather stations (where sensors are released into the atmosphere through balloons) are unable to capture accurate data. This is due to negligence over the years and the lack of investment in upgradation of the infrastructure, the report says. Sitting on Ghana’s Apam beach, fisherman Nana Ekow Pasnin is worried about his family’s future. His canoe just returned without a single fish, after spending a marathon 12 hours in the sea. He has never seen such an acute fish shortage in the Atlantic Ocean in his 40 years of fishing. “Earlier, we could easily fill up the 150 crates in our canoe in every trip. Today, we consider ourselves fortunate if we are able to fill just 20 crates, and such an occasion arises only once or twice a year,” says Pasnin. He says that in the past two decades or so, there has been a rapid decline in small pelagic fish in Ghana’s waters . These fish, which includes species like sardinella, sardines, anchovy and mackarel, are found near the surface and closer to shore and form an important basis of livelihood to the country’s 210,000 artisanal fisherfolk and another 2.1 million employed in allied industires. “In 2015, the county recorded the lowest small pelagic production of 19,608 tonnes. This was 14 per cent of the production in 1996, when the highest small pelagic production was recorded,” says Socrates Apetorgbor, fisheries specialist with the sustainable fisheries management project of the United States Agency for International Development (USAID). Francis Agbeshie from the Chokomey fishing community in Ghana’s Bartianar area says members from his community tried to cope with the crisis by ditching the canoe for inshore vessels with engines that allow them to venture into deep seas. “The shift worked for a while, but now our catch is dwindling again,” he says. 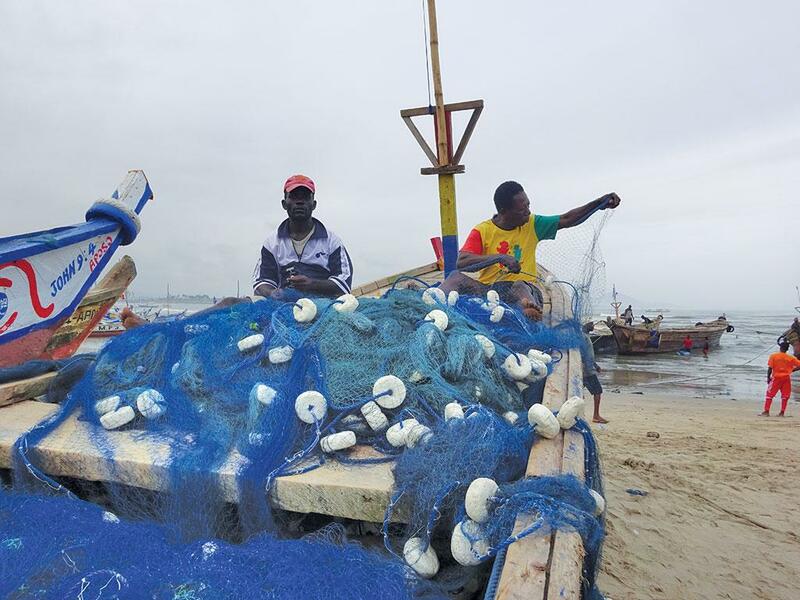 Agbeshie and other artisanal fisherfolk, who form 80 per cent of the country’s fishing community, blame the increase in industrial trawlers, both in international and Ghana’s domestic waters, and their illegal activities for the shortage. “In the 1980s, Ghana had just 14 foreign vessels. Today, it is between 500 and 700,” says Kofi Agbogah, director of Hen Mpoano, a Ghana-based non-profit which works with coastal communities. The situation is no different for the other West African countries along the Atlantic Ocean where artisanal fisheries is an important basis of livelihood; according to a January-February 2018 study by fisheries researchers at The University of Britsh Columbia, Canada, published in Conservation Letters, the sector provides employment to 7 million people in the region. Some experts, however, say the shortage could be partly because of climate change. Pelagic fish are highly sensitive to sea surface temperature. While some have an affinity for temperate waters others prefer tropical waters. As sea surface temperature rises with global warming, it affects the abundance and distribution of these species by altering their migratory paths. Besides, small pelagic fish feed primarily on plankton. As warming oceans slow plankton growth, it might also be affecting the abundance of the stocks, says a Unesco report. 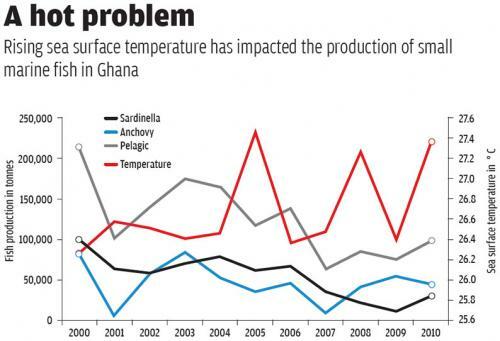 Hawa Bint Yaqub, deputy director at Ghana Fisheries Commission, says the average sea surface temperature near Ghana beach increased from 26.2oC in 2000 to 27.4oC in 2010; that decade, the country’s annual average pelagic production fell from 22,000 tonnes to 12,000 tonnes. Worse, several studies suggest that the situation will exacerbate with each passing year. A June 2017 research titled “Climate change and marine fisheries: Least developed countries top global index of vulnerability” says even in the most optimistic future scenario, sea surface temperatures are expected to increase substantially by the end of the century, and its impact on marine fisheries will be most visible in poor countries. Over 25 of the world’s 31 least developed countries with coastlines are in the top half of the vulnerability index, says the paper, published in Plos One. Even under business as usual, sea surface temperatures are projected to increase by 0.62-0.85°C in the near future and 2.44-3.32°C over the long term, warns a 2016 paper titled “Climatic drivers of change and the future of African ocean”. An increase of 1-2 °C is enough to “badly” impact fisheries stock, it warns. Pushed by both industrial trawlers and climate change, the artisanal fisherfolk of West Africa are now living on the edge. In the desperation for a good catch, many of them are embracing illegal, unregulated and unreported fishing practices (IUU), such as using light to attract fish and explosives to catch them, using nets with small mesh size to catch juvenile fish and fishing during the breeding season. Some have even joined hands with foreign industrial trawlers which have combed the ocean to feed the European and Asian markets, both legally and illegally. The genesis of the problem, to quite some extent, lies in the policies of West African governments. They have been selling the rights to fish their waters to rich European governments, who have already decimated their own seas. In recent years, fleets from China, the Philippines, Russia, South Korea and Taiwan have also expanded their presence in the region’s territorial waters. Agbogah says these international trawler operators usually form partnership with local fisherfolk to enter the domestic water for fishing. The local partner, in most cases, exists only on paper while the trawlers indulge in illegal activities, such as “saiko” where they indiscriminately harvest fish, before illegally trans-shipping the catch at sea to canoes to evade taxes (see “Ghana needs stronger laws”). “Their fleet includes a couple of dozen megatrawlers that target small pelagic fish to make feed for salmon, chicken, pigs and other animals grown at aquaculture and livestock farms around the world,” says Dyhia Belhabib, advisor for the University of British Columbia’s Sea Around Us research project, who has co-authored the Conservation Letters study. Each mega trawler, says Belhabib, can capture up to 20,000 tonnes of fish a year, equal to the annual catch of more than 1,700 traditional Senegalese pirogues (flat-bottomed, wooden dugout boats). These industrial vessels also often intrude into waters reserved for artisanal fishers. A 2017 resea rch by EU-funded Securing Sustainable Fisheries project in Ghana shows in 2016, thousands of cases were recorded where industrial vessels destroyed nets and canoes of traditional fisherfolk at sea. Yet only 5 per cent of these cases were reported to the Fisheries Commission, and less than 1 per cent resulted in compensation. “The vessels often escape after destroying our nets. If caught, they bribe the local officials and give us a part of their daily catch and leave,” says Nana Kobina Caique, chief fisherman of Apam community. But their legally-sanctioned activity provides a cover for these IUU fishing activities. “Commercial trawlers that operate under flags of convenience, and unload in ports that do not record their catch, are engaging in organised theft disguised as commerce,” says former UN chief and Noble Laureate Kofi Annan, who now chairs the Africa Progress Panel. The panel estimates that IUU fishing accounts for between one-third and half of the total regional catch. The 2011 Food and Agriculture Organization (FAO) report also highlights that IUU is rampant across West Africa, which has some of the world’s richest tuna fishing grounds. “Over 50 per cent of the fisheries resources in the stretch of coast ranging from Senegal to Nigeria have already been overfished,” it says. IUU fishing, which often accounts for a large proportion of the total catch, is now hitting the coffers of West African countries. A report by the Overseas Development Institute (ODI) in 2016 says Senegal lost around $300 million in 2012 due to IUU fishing, which is equivalent to 2 per cent of gross domestic product. Similarly, Guinea loses $110 million a year and Sierra Leone loses $29 million annually due to IUU fishing. The entire region faces a loss to the tune of $2.3 billion a year due to IUU fishing, says a March 2017 study published in Frontiers in Marine Science journal. The threat is maximum from Chinese companies that have expanded their fishing operations in Africa from 13 vessels in 1985 to 462 vessels in 2013, or one-fifth of the total Chinese-owned distant water fishing (DWF) fleet, according to a Greenpeace report, “Africa’s fisheries Paradise at a Crossroad”. By 2016, it rose 2,600 vessels, which was 10 times that of the US, as per a New York Times story. This has been possible because China started a subsidy for DWF in 2006 and had spent $431 million, says the Greenpeace report. Explaining the Chinese push to DWF fleet, an FAO report, “Fish to 2030: Prospects for Fisheries and Aquaculture” says China will consume 38 per cent of world’s fish production by 2030. 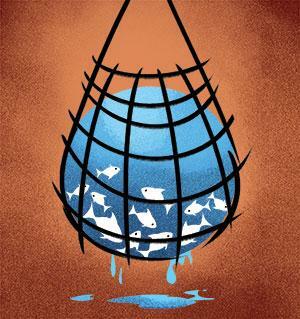 It projects that Asia will account for 70 per cent of the global fish consumption by 2030. The Greenpeace report further says that the Chinese flagged and/or owned vessels currently fishing in African waters are predominantly bottom trawlers, one of the most destructive fishing methods in the modern fishing industry. This, despite that China does not allow bottom trawlers on its own water. The ships are so large that they scoop up as many fish in one week as Senegalese boat catch in one year, says a March 2017 research published in Frointers in Marine Science. In April 2017, Greenpeace Africa and the Sierra Leone government inspected seven international vessels and found four of them to be illegal. Two of the illegal vessels were from China and the other two were owned by local people but funded by Korea and Italy. While all were using illegal nets, one vessel was also carrying shark carcasses. Earlier this year, South Africa detained three Chinese vessels and arrested 100 crew members for illegally entering its Exclusive Economic Zone. Those dependent on the allied sectors also bear the brunt of IUU. As fishing communities use explosives to ensures a good catch, tissues of most fish get damaged, creating problems for the processing sector. When Down to Earth visited a processing community in Bartianar in July last year, most people said the poor supply is forcing them to move out of the industry. “July and August are the bumper seasons for us. Like Agbesi, there are 14,700 people struggling to make an honest living in the processing sector. “The people in the sector do not consume the fish captured through explosives as they know it is unhealthy. Still they process and sell it even though they know it will hamper their relationship with the customers in the long run,” says Margaret Ottah Atikpo, a fisheries specialist working with international non-profit Action Aid in Ghana. Several West African countries are framing regulations to put an end to IUU fishing. In 2010, Ghana introduced fisheries regulations to prohibit the practice. The regulations has a provision under which fine of up to $4 million can be slapped on the offenders. In recent years Senegal has stopped licensing fishing of small pelagic fish to foreign industrial trawlers. With limited resource and often corrupt officials and ineffective governments, these regulations are openly flouted. For instance, in 2013 the EU issued a Yellow Card against Ghana for the government’s inability to check illegal fishing. The card means none of the 28 countries in the EU will import fish products from Ghana. Following the sanction, which deprived the country of over $150 million, Ghana introduced the West Africa Regional Fisheries Programme (WARFP) to establish legal provisions and monitoring processes in place. It also sealed 150 industrial trawlers for illegal trade in 2014. A year later, EU revoked the ban even though, experts say, the government’s drive against illegal trade has slowed down. In 2015, only 92 trawlers were sealed. “In 2016, only a few trawlers were sealed,” says a Ghana fisheries department official on anonymity. “West Africa needs to strengthen its fisheries management. 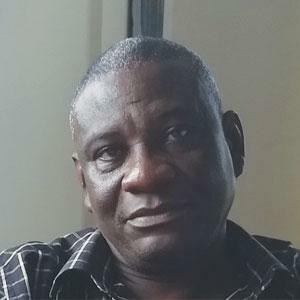 The region’s marine resources are being depleted at alarming rates, mainly due to too many boats competing for too few fish, and high rates of illegal, unreported and unregulated fishing,” says Ahmed Diame, Greenpeace Africa Oceans campaigner. This ongoing plunder is a threat to millions of people in the region who depend on the oceans for their food . Maybe, they can learn from Liberia that has been able to curb IUU fishing through legislation and monitoring. In 2011, with the help of the World Bank, the country developed a six-nautical mile perimeter in its water where industrial vessels were banned. The move helped the country reduce 83 per cent of IUU, as per its ministry of agriculture and fisheries. This has revived the traditional fishing communities who have doubled their annual catch since 2011. Finally, West African nations need to wake up to the problem of climate change and include it in its fisheries policies to better prepare for the impact it will have on fish population, which provide the much-needed protein to the poor. In ghana, illegal, unregulated and unreported (IUU) fishing happens at two levels: international players operating in West Africa indulge in it to maximise profits and almost all local fisherfolk engage in one or the other way of IUU fishing. Let me begin with local IUU fishing practices. If you go by the existing Ghanaian law, every fisherman is engaged in illegal fishing because the law says everyone has to be registered with the Ghanaian authority. 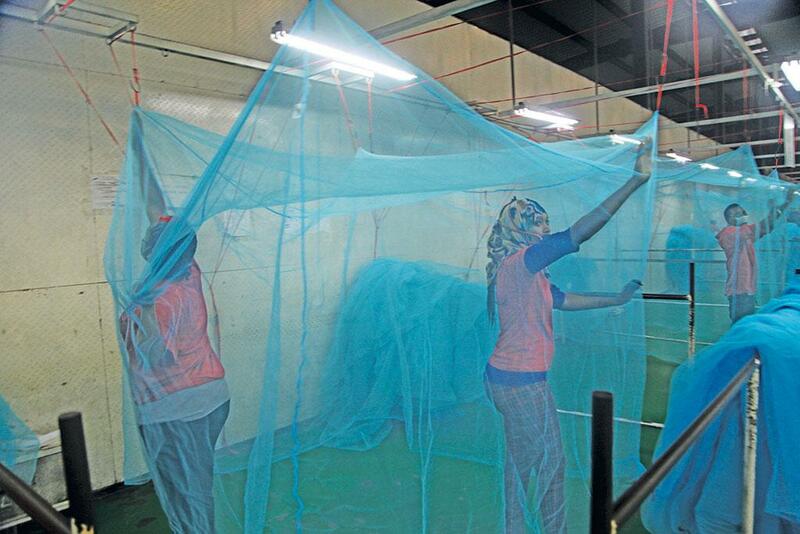 Even the net they use has a smaller mesh size than the one cm size approved by the law. They also use crude methods to get more fish, which are illegal. The law also says fisherfolk need to take prior permission to transfer fish from one boat to another. But nobody cares. People also fish in juvenile breeding areas, which are not clearly marked. The fish they bring is unreported because it is illegal. Then there are several fishing vessels from Asia that are operating in the domestic waters after forging a local partnership. The law says each vessel should have only 25 per cent foreigners and 75 per cent from Ghana. What is happening on the ground is that a Ghanian gets the license and gives it to the foreigner and goes to sleep. Now the foreigner decides what, when and where to fish. Little wonder the number of international trawlers in West Africa has increased from just 14 in 1986 to over 700 today. These trawlers are supposed to engage in dip water fishing, but they do all kind of mid-water, surface fishing. Even they catch juvenile fish and small fish and then illegally sell it to traditional fisherfolk in the sea. Organisation for Economic Co-operation and Development estimates that globally US$ 23.5 billion dollars are being lost due to illegal fishing of which 37 per cent happens in West Africa. So, it becomes very difficult for our local fisherfolk to get fish. So they are indulging in anything to survive. This is the reason they have resorted to using light, dynamite, chemical etc just to ensure that they get fish. So, there is the blame game. Fisherfolk blame big trawlers but they do not talk about what they are doing. They say that if these big vessels are moved out, they will be fine. Everybody knows that the locals who have entered into partnerships with foreign players have become rich people. What they do not realise is that they are selling their birthright to foreigners for money. We don’t have fisheries in Ghana. If we have to revive this, we have to take some pain. We need to focus on behavioural change which takes time. We have poor law enforcement for which the government needs to be blamed. Last week, few people were arrested for engaging in illegal fishing, but local politicians asked the officials to release them. In the nutshell, this is how the issues play out. The administration says something is being done but is that enough, that is the question. I think Ghana needs another yellow card from the European Union as during the last one between 2013 and 2015, the government took some prepared some documents to curb IUU. But whether they were implemented or not is different question. The fisheries crisis due to climate change is exacerbated by the fact that the world produces 300 million tonnes of plastic every year, of which about 8 million tonnes end up in the ocean from where it is almost impossible to retrieve. These trillions of plastic pieces last for hundreds of years, affecting the livelihoods and health of people in coastal countries, not to mention the impact on marine life. Africa, which has the world’s highest population growth rate, especially in coastal areas, has a poor record of managing waste—only 10 per cent of its rubbish reaches the dumps, as per UN estimates, while the rest is left to rot in communities or burned in acrid bonfires. In 2010, annual mismanaged plastic waste for the continent was about 4.8 million tonnes and could reach 11.5 million tonnes in 2025, experts say. 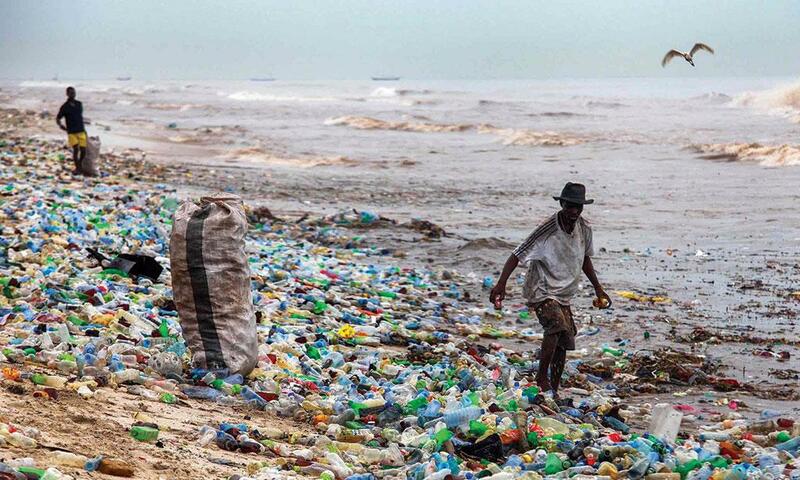 Five African countries are among the top 20 highest contributors to plastic marine debris in the world. The problem is exacerbated by the growing middle class in Africa, creating large markets for consumer plastic goods and packaging. Eighty per cent of Africa’s gross domestic product (GDP) depends on just 11 countries—Nigeria, South Africa, Egypt, Algeria, Angola, Morocco, Sudan, Tunisia, Kenya, Ghana and Libya—all of which have prominent coastlines. Globally, consumer waste forms a staggering 93 per cent of plastic marine debris, 80 per cent of which is generated on land, according to the US Consulate General, the South African Maritime Safety Authority, the International Ocean Institute-African Region, the V&A Waterfront and Operation Phakisa, which has mobilised different agencies in Africa to work on plastic waste. Going by the current recycling technology, 80 per cent of plastics, including single-use products like earbuds, sweet wrappers, straws and coffee cup lids, have little or no value at the end of life. Pollution from this sector alone could greatly impact fisheries that employs over 12 million Africans. Moreover, as subsistence fishing is significant in African countries, marine debris is a potential threat to food security, economic development, marine ecosystems and the vision of a blue economy. Due to lack of clean drinking water, single-use sachets are popularly used. Plastic litter had clogged drains in the Ghanaian capital of Accra during heavy rains in 2015, causing flooding that killed at least 150 people. The most common policy at country-level is the ban or taxes on plastic bags which was promulgated after 70 per cent of livestock in Mauritania was lost to plastic ingestion in 1970s. Over 20 African countries, including Mauritius, Kenya, Senegal, Ethiopia, Zanzibar (Tanzania), have enforced bans and taxes. In Zanzibar islands, plastic bags are banned and any breach attracts a fine of up to 100,000 TZS (US $44) or six months in jail. Rwanda has been implemen ting the ban for quite a few years with significant success. Kenya, in its third attempt, is pushing hard to implement the ban this year, while Cameroon and South Africa have adopted taxes. Eight social enterprises in four African countries are helping authorities manage waste better. In Lagos, Nigeria, Wecyclers and Recycle Points collect recyclable waste like plastic bags and bottles, cans, glass and paper from users directly. They incentivise consumers to sort their recyclable waste at home by exchanging it for points that can be redeemed for household items, food or cell phone minutes, turning their waste into value. TakaTaka Solutions in Nairobi, Kenya, asks consumers to segregate waste into organic (used to create high-quality compost which is sold to local farmers) and inorganic (sold to recycling industries or used to create tumblers). It collects 10 tonnes of waste per day and recycles up to 95 per cent of it. Proplast, which began in Senegal in 1997 by 14 women to collect and process plastic waste, now employs 100 women and processes 1,650 tonnes of plastic per year turning it into granulated plastic sold to local processing firms, and has set up drop-off centres in Dakar for public. In South Africa, non-profit USE-IT works on a holistic approach to solid waste management through recycling programmes. Polyco, also in South Africa, has set up a mobile kiosk where people can give their polyethylene plastic for a cash card. All Women Recycling makes Kliketyklikbox—an eco-friendly gift box recycled from 2-litre plastic cool drink bottles. This initiative upcycled over 500,000 plastic bottles in 2016 while providing salary and skill development to marginalised women. Repurpose Schoolbags creates bags from billboard material and plastic bags in South Africa and gives them to schoolchildren in need. The bags have a portable solar panel that can be used as a desk lamp at night. In Ethiopia, SoleRebels creates fairtrade footwear using recycled tyres and handloom techniques. Similarly, Ocean Sole in Kenya collects over 400,000 discarded plastic flip flops annually and recycles them into art. Technology, especially mobile technology, can also come to the rescue. For instance, Ecopost in Nairobi encourages people and businesses to collect and sort their waste in return for points on an app that can be redeemed for products. Ecopost collects both plastic waste and agricultural waste like rice husks, wheat bran, sawdust to create plastic lumber that can be used for fencing. 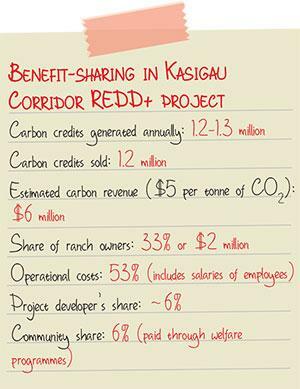 This helps reduce deforestation while creating jobs for locals besides creating value. Although some of these initiatives are of a small scale at the moment, they have the potential to become successful. To tackle plastics, the road ahead is to focus on innovation of alternate materials. Also, to reduce marine plastic waste, Africa should use Information, Education and Communication strategy along with campains for behavioural change in the public. All this, tied with policy that ensures plastic use is minimised will lead to efficient waste management. At the UN Conference on the Human Environment in 1972, the world community laid down the common principles that linked our environment and sustainable livelihoods. These principles were reaffirmed 20 years later in the first Earth Summit at Rio de Janeiro. Agenda 21 became a blueprint for environmental and sustainable development in the 21st century. Since then, a lot has happened on the global platforms to save the planet—from the inception of the UN Framework Convention on Climate Change in 1992, the formulation of the Kyoto Protocol in 1997, the Paris Agreement of 2015, the Sendai Framework for Disaster Risk Reduction of 2015, the landmark Agenda 2030 for Sustainable Development, to the Sustainable Development Goal (SDG) 14 of 2017 about conserving the oceans. All these goals remind us that without eradication of poverty or addressing injustices, and striving to advance human and socio-economic progress, there can never be that “Future We Want”. Today, climate change and marine pollution are the most pressing “cocktail” of environmental problems ever to face humanity. In fact, the impacts of climate change are threatening to reverse decades of technological success that the world fought so hard to achieve. These existential challenges have already forced us to invest more in securing our future while simultaneously striving for sustainable livelihoods. This is not easy. The climate and ocean degradation trends in Africa augment its story of despair. The UN Economic Commission for Africa’s Blue Economy Policy Handbook notes the continent is highly vulnerable to the impacts of climate change. Increasing floods and droughts, erratic and extreme weather, sea level rise, coastal erosion, saltwater intrusion, warming sea waters, ocean acidification, coral bleaching and an upsurge of invasive species are some of the almost insurmountable challenges facing our countries and have affected livelihoods dependent on ocean and freshwater resources. These impacts are expected to worsen. The current course to a 4°C increase in global temperature by 2100 leaves Africa, whose existing coping mechanism is modeled for only 1.5–2°C threshold, staring at a catastrophe. The 2050 Africa’s Integrated Maritime Strategy of the African Union says it all: for a continent that has undergone severe climate change and natural disasters, a road to recovery requires a dedicated global agenda and the political will of our governments. Looking closer, this is a never-ending story of failing economic systems affected by drought-induced migration; catastrophic cyclones threatening islands and coastal areas of the Western Indian Ocean region; destruction of coral reefs and mangroves due to unplanned coastal and marine development; destruction of critical coastal habitats on which livelihoods depend; lack of strong national ocean policies; limited scientific capacity to inform policy decisions; and illegal, unreported and unregulated (IUU) fishing. Indeed, our coral reefs are dying (see “Dying reefs cast shadow on tourism”). And, it is the small island states, and communities of the Indian Ocean that continue to bear the brunt. Ocean acidification, marine pollution and coastal tourism have added to reef stress levels. Competition, and sometimes conflicts, between poor artisanal fisherfolk and the tourism industry have triggered concerns for the resilience of the coral reefs, which should be seen as the currency that could define our countries’ goals in sustainable development. Without healthy oceans and reefs, there will be no alternative for the islands of the Western Indiar Ocean. Hence, conservation of environment and our limited marine resources should be at the centre of our development plans. The Regional State of Coast Report analyses the conditions of the ecosystems, resources and human activities, and their stated evolution in this part of eastern and southern coasts of Africa and the Indian Ocean island states. The area consists of 10 coastal and island states that are the contracting parties to the UN Regional Seas Programme called the Nairobi Convention. Besides fisheries and tourism, recent oil and gas exploitation trends in some of these countries can boost GDP, but also expose the marine ecosystems to new human-induced threats in the region that already faces rising sea surface temperatures, surface air temperatures and increasing wind speeds that precipitate record-breaking cyclones. For Tanzania, the challenges include rapidly growing population along coastal zones; land-based sources of pollution, microplastics, marine dumping, IUU fishing, lack of alternative livelihoods, destruction of mangroves and coral reefs. Besides creating awareness, we need to adopt an integrated development plan for a national ocean governance policy; marine spatial planning alongside integrated coastal and marine management; and, strengthening enforcement of existing laws. Establishing a mechanism to monitor and evaluate the targets under SDG 14 should be a part of our ocean governance framework, and include regional collaboration on combating marine pollution; sustainable management of shared fish resources; transition to a low carbon pathway; and, integrated ocean governance. At the same time, enhancing engagement with communities, private sector and other partners is vital. 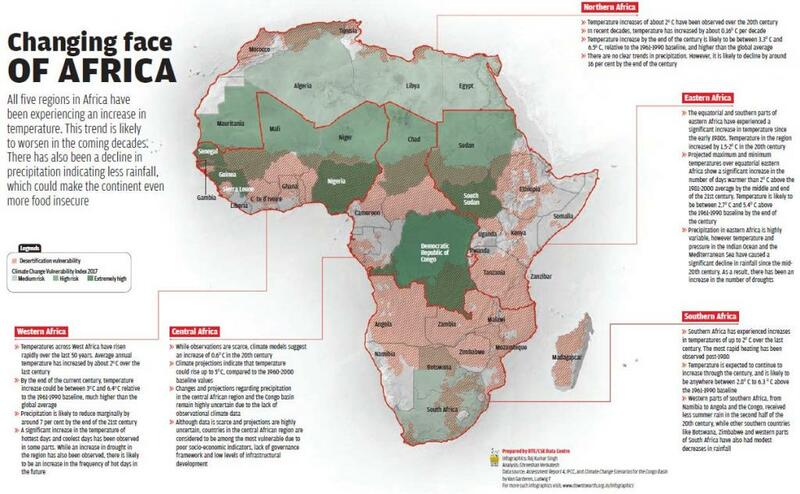 So, what should be the course of action for Africa and the region? We need to start acting on microplastics and develop a marine waste management plan that integrates the upstream habitats and ecosystems. We must invest more to combat invasive species and marine pollution, and go back to the 2011-2020 Strategic Plan of the Convention on Biological Diversity, called Aichi Target 11 on coral reefs. We also have to work towards protecting the high seas and Areas Beyond National Jurisdiction as part of our efforts to collectively protect our oceans and understand their dynamics. One ocean approach is the only way to fight climate change. These two opposite pillars are inseparable. Fisheries and marine protected areas must be treated as one component of resilience. The proposed “Blue Commonwealth Charter” for marine sustainable development to foster ocean regeneration should be adopted in the regional and even global context of ocean-climate nexus. Citing from The Mont Fleur Team’s Scenarios exercises—an experiment first conducted in1991 that brought together society representatives to envision an end to apartheid—if we achieve this together, then we attain the flight of the flamingos. If we continue to go our separate ways, then we fall from the sky like Icarus. The most extensive coral bleaching event from 2014 to 2017 affected reefs across the world, including the Great Barrier Reef in Australia where the damage was intense; and also those found along the east coast of Africa; where the intensity of destruction was slightly less. 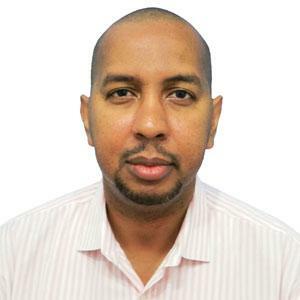 Talking to Down To Earth, David Obura, director of Kenya-based non-profit Coastal Oceans Research and Development–Indian Ocean (CORDIO), explains the extent of damage in Africa. “Seychelles was the worst hit country, followed by Madagascar, while parts of Mauritius, Kenya and Tanzania were badly impacted. Comoros showed only a slight impact,” he says. Bleaching is a process where corals lose their vivid colour and turn white. This happens when the zooxanthellae algae, which is in a symbiotic relationship with corals and provide them with food, die due to ocean warming and acidification. If bleaching continues for an extended period of time, corals eventually die. Coral bleaching and mortality exacerbated by climate change are one of the biggest threats to oceanic biodiversity. Coral reefs, which are mostly found in shallow oceans along the coastline, provide the perfect place for marine life to thrive, especially colourful fish. The first-ever recorded coral bleaching took place in 1998. That year the El Niño Southern Oscillation, which occurs every three to seven years in the Western Pacific Ocean, caused massive bleaching of corals along the east African coast. Due to this, almost 20 per cent of corals were lost in the region. The fallout of bleaching and coral death is an increase in the growth of fleshy macro algae in reefs. The algae do not allow corals to revive by taking up their space. The 1998 event increased such algae cover in the oceans by 2.5 times. “Due to the bleaching event, coral cover in the region declined by 20 per cent and fleshy algae cover increased by almost 35 per cent,” says Obura, who also chairs the International Union for Conservation of Nature’s Coral Specialist Group. So, how does bleaching of corals, also referred to as underwater rainforests because of their important role in supporting marine life and biodiversity, affect the African economy? African corals are a big tourist draw. Reefs along the east coast of Africa and the islands of Zanzibar, Seychelles and Madagascar provide jobs to thousands in diving and other allied industries. Amidst civil wars and ethnic violence, it is only the tourism sector that offers Africans a stable and viable economy. Widespread coral bleaching has badly hit the African scuba diving industry. 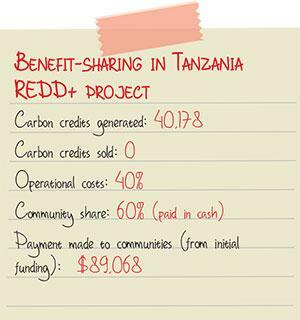 According to a World Bank estimate, losses amount to US $2.2 million in Zanzibar and $15.09 million in Mombasa till now. Even Seychelles has lost considerable coral reefs and the country’s profits from dive tourism have dipped. The reefs around Dar es Salaam, a major city in Tanzania, have recorded 6 per cent mortality since 1998, according to Leonard Chauka, a coral expert at the Tanzania-based non-profit, Western Indian Ocean Marine Science Organisation. As dive tourism across Africa has declined considerably, these days organisers bank upon novices or amateur divers, who cannot readily differentiate between healthy and non-healthy coral reefs. But on the whole, the dive industry is not dealing with the issue of bleaching and taking measures to generate public awareness. They are more concerned with dwindling visitors than with climate change, the real culprit behind reduced tourist footfall. “They don’t want word to spread that their reefs are declining due to climate change. They fear tourists will go elsewhere, and so it is a bit of a head in the sand approach,” says Obura. However, things have started looking bright. Concerned tourism organisers are taking an interest in coral restoration. For instance, the dive industry in Zanzibar has approached CORDIO to help them with training for monitoring coral bleaching and overall reef health. “We are trying to present forecasts during the high risk season for bleaching that will help the dive industry as well as others to prepare for such events. There is also more coverage and awareness about the issue in tourism magazines and global discussions. So, things are picking up,” Obura points out. Chauka is optimistic about coral reef recovery vital for the earth’s ecosystem. 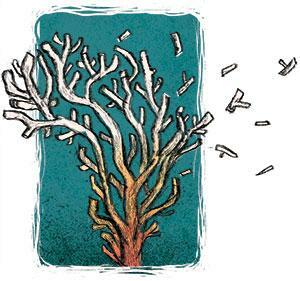 He says that Acropora, a coral species found near Dar es Salaam, was affected the most due to bleaching. But it is fast at recovery. “There are also mild bleaching events that cause no mortality. Such reefs take a few months to recover,” Chauka explains. In the midst of gloom and despair, there is good news for scuba divers. Experts say despite the extent of bleaching, coral mortality is not as extensive as it could have been. There is indication that corals have developed a certain amount of resistance to heat stress. This can help them recover in the future, if ocean pollution, over-fishing and dynamite fishing are kept under control. But recovery is a matter of many years. Obura says it will take another 15-20 years for coral reefs to recover fully under natural conditions. Another cause of concern is that the time gap between bleaching events is decreasing, thus not allowing corals to recover. Some experts also say that the reefs may never come back to their original state. Meanwhile, the tourism industry is doing everything it can to divert visitors’ attention from corals. For instance, in Tanzania, there is an effort to promote national parks like Serengeti and Ngorongoro. In Zanzibar, historical place like the Stone Town and the Jozani Forest Reserve are being promoted. Oceanic activities have been limited to dolphin viewing and kite surfing. 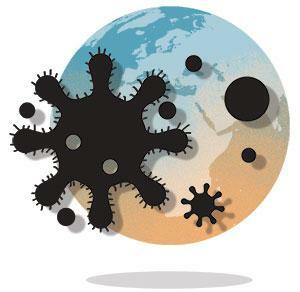 Every week, the World Health Organization (WHO) releases information on disease outbreaks across regions. On April 6, the epidemiological alert from the Americas gave an update on the situation of merely one disease, measles, in the region. The same day, an alert from the African region reported 49 disease outbreaks. These included reports of 23 diseases including cholera, Crimean Congo haemorrhagic fever, dengue and meningococcal disease. Though these diseases are not new, their incidence and pattern has changed due to climate change. For example, in the first three months of this year, there were 7,403 cases of the airborne bacterial disease meningococcal meningitis in the meningitis belt of Africa. Meningitis outbreaks have links with weather patterns, such as strong El Niño events, which result in lower than normal rainfall. Dry season, dust winds, cold nights and upper respiratory tract infections combine to damage the nasopharyngeal mucosa, increasing the risk of meningococcal disease caused by bacteria Neisseria meningitidisis. Just like meningitis, vector-borne diseases too are expected to grow with climate change. 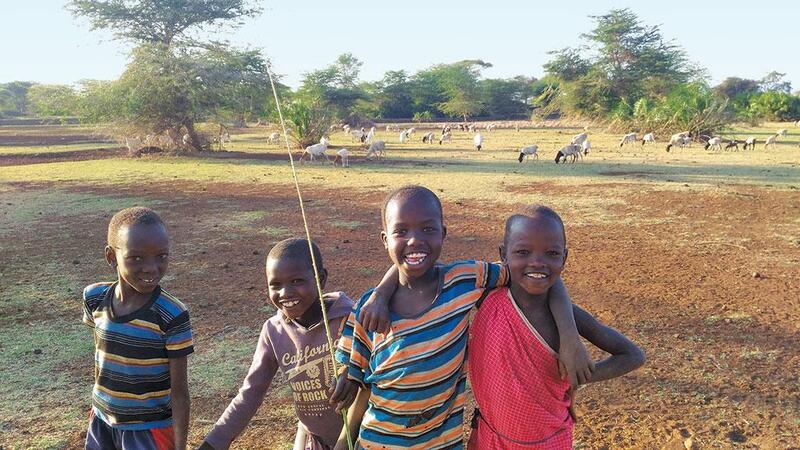 In Tanzania, the burden of trypanosomiasis could increase because of the changing climate and land use changes in the Maasai steppe ecosystem. African trypanosomiasis or sleeping sickness is caused by a protozoa, Trypanosoma brucei, which is transmitted by the tsetse fly. Rising temperatures can increase the number of tsetse fly vectors and rates of infection. Similarly, Rift Valley Fever, which is endemic to East and West Africa, is transmitted by mosquitoes Aedes and Culex, and outbreaks are linked to altered rainfall patterns due to changes in ENSO and La Niña events, and elevated Indian Ocean temperatures that cause heavy rainfall and flooding. Even Ebola that ravaged the continent and claimed over 11,000 lives between 2014 and 2016 in West Africa has links to climate change. The outbreaks coincided with dry seasons followed by heavy rainfall that produced an abundance of fruit. These fruits attract bats (the suspected carriers of the Ebola virus) and apes and provide opportunities for the disease to jump between species. Humans can contract the disease by eating or handling an infected animal. Cholera, another climate sensitive disease, is prevalent in areas where sewers overflow after rainfall and contaminate drinking water. Clean water sources also may not be easily available in dry conditions and people are forced to consume water from contaminated sources. Climate change can worsen the situation. A December 2011 paper on Tanzania published in the International Journal of Environmental Research and Public Health found that 1°C rise in temperature increases cholera risk by 15 to 29 per cent. Based on climate change projections, by 2030, Tanzania may see a rise in costs associated with cholera equivalent to 1.4 per cent of GDP, the researchers say. Heat stress is also a possible repercussion of climate change. Temperature increases in Tanzania are higher than the global average. In Sub-Saharan Africa, temperatures have increased by over 0.5°C or more during the past 50 to 100 years. Other than the direct impact on health, the increase in temperature is likely to lead to malnutrition. Yields of crops like maize and wheat are expected to go down due to high temperatures, suggest models. Major grains show yield losses in the range of 2.5 to 16 per cent for every 1°C increase in seasonal temperature. This has been observed across the Sahel, where rising temperatures have led to poor production of maize, sorghum and millet. High levels of carbon dioxide in the environment too can reduce the nutrients in crops. Other than the cost to human health, these diseases also impact the country’s economy. The Ebola outbreak resulted in US $2.2 billion in GDP losses for Guinea, Liberia and Sierra Leone. It has often been pointed out that climate change can also reverse the gains made in controlling diseases. Regions with the triple combination of high exposure to climate change impacts, extensive poverty and dense populations will most probably face major adaptation challenges. Malawi, Mozambique, Zambia, Zimbabwe and the Lake Victoria region in East Africa are examples of places which will face these problems. However, most of these countries do not have adequate policies for adaptation. In most of the countries, the health components in the climate change adaptation plans are very weak. To rectify this, WHO has worked with 34 countries to strengthen their resilience to the adverse effects of climate change by establishing multi-sectoral country task teams. A variety of initiatives have been taken in the region to address climate change. These include the Libreville Declaration and the WHO’s Adaptation to Climate Change in Africa Plan of Action for the Health Sector. WHO’s research has produced evidence in seven countries on how to increase resilience to diseases. They found that in dry land ecologies in Botswana, South Africa and Zimbabwe, community knowledge on the trends of malaria and schistosomiasis can help assess situation quickly. In Kenya, the researchers found that the community was not aware of Rift Valley Fever and this made them more vulnerable to outbreaks. To counter this, the researchers recommended that the veterinary department should set up sentinel herds of cattle which could be tested routinely to alert authorities. To achieve these, robust environmental health data is of utmost importance to help African countries prepare for diseases emerging due to climate change. Though environmental health data exists in Africa, it is not always in a form that is immediately “user-friendly” in scientific research, says Caradee Wright, researcher with the Environment and Health Research Unit of the South African Medical Research Council, South Africa. “Evidence-based decision making should underpin all climate change and health mitigation and adaptation activities, policymaking and planning,” she says. The evidence, along with stakeholder engagement helped the South African Medical Research Council identify that there was a need for a heat-health action plan. Working across sectors in one of the hottest towns in South Africa, Rustenburg, researchers developed a heat-health action plan template for the government. This template can now be rolled out to all towns across the country to help them plan for extreme heat and periods of “very hot days” which are predicted to increase in the future, says Wright. The usefulness of data has also been underlined in a March 1, 2018 report published in The Lancet. The researchers mapped cholera incidence in Sub Saharan Africa (excluding Djibouti and Eritrea) from 2010 to 2016 from data sets of WHO, Médecins Sans Frontières, ProMED, ReliefWeb, ministries of health and scientific literature. They found that in the study area, an average of 141,918 cholera cases were reported per year, but only 4 per cent of the districts had higher cholera incidence. They suggested that by focusing on these districts first, interventions could eliminate 50 per cent of the region’s cholera cases. Unfortunately, even now Africa might not have woken up to the immediacy of the problem. The first progress report of the chairperson of the commission on the African Center for Disease Control published in March 2018 does not even mention the risks due to climate change. The african climate is a natural incubator of many tropical diseases, such as malaria, cholera, Rift Valley Fever (RVF), meningitis, yellow fever, dengue and chikungunya. These diseases are caused by pathogens that are temperature-sensitive. It is predicted that the frequency of these anomalous events will increase as the planet becomes warmer. The most dramatic impacts of climate change and variability in Africa were probably best observed in the 1990s when multiple El Niño and La Niña events occurred. These events were associated with a temperature rise of 2-5°C and excessive flooding. During these events malaria cases increased between 100 and 700 per cent while RVF caused significant livestock mortality and economic losses in Ethiopia, Somalia and Kenya to the tune of US $132 million due to a ban on exports of livestock products to West Asia. Over 90 per cent of the global malaria burden occurs in Africa and is associated with considerable mortality and morbidity. Climate scenario indicates that the geographic range of these diseases may contract in some areas and expand in others. Of particular concern are African highlands where the temperatures for a long time were below 18°C, prohibiting malaria transmission. For example, malaria became endemic in the Central Kenya highlands after 1993 when the mean temperature permanently exceeded 18°C. Prior to the ongoing malaria control efforts, severe epidemics occurred in the East African highlands during El Niño years, resulting in 100 per cent increase in hospital admissions. In the 1990s, it was recognised that malaria control in Africa required a global effort and special programmes were initiated. The prevalence of asymptomatic malaria fell by 50 per cent and that of symptomatic clinical cases fell by 40 per cent between 2000 and 2015. In the highlands of Western Kenya, the prevalence of infections fell by 80 per cent. Among other strategies, the development of malaria epidemic early warning systems made it possible to minimise the impacts of the epidemics. Cholera, a water-borne disease, is also associated with climate variability. The largest epidemics observed in eastern Africa were associated with El Niño that cause water temperatures in lake and coastal waters to elevate. Cholera bacteria thrive under such conditions. In most countries in Africa, water and sanitation programmes have contributed significantly towards the quantity and quality of drinking water. RVF, a viral disease transmitted by several types of mosquitoes, is associated with flooding. It is endemic in East Africa, Mauritania in North Africa and South Africa and disease transmission occurs during periods of extreme flooding. Recent observations suggest that its geographic range is expanding. The most effective control strategy is vaccination but this was restricted because the vaccine was being produced only in South Africa. Now, it is being produced in other countries such as Kenya. Since mass vaccination began in Kenya, no major outbreak has been reported. Meningococcal meningitis is associated with dry conditions and 350 million people are at risk. In 2010, a vaccine was deployed in Bukina Faso, Mali and Niger, and was found to be suitable for public health use. Vector control, effective medicines and vaccines have had success in reducing the impacts of climate sensitive diseases. These efforts must be sustained through investments in health and research. It must be recognised that climate change impacts are increasing and must be addressed robustly. $ 50 billion a year. That’s the kind of money Africa requires to survive the onslaught of extreme weather events, diseases and loss of livelihood sources in case the global temperature rise does not exceed 2oC, says the World Bank’s Africa Climate Business Plan. The amount will rise to a humongous US $200 billion if global warming continues unabated over the next few decades. But just the way world leaders show no commitment to contain the temperature rise, there is no commitment as to who will bear the cost. This is worrying as the continent accounts for just 9 per cent of the global carbon emissions (including emissions from land-use changes), according to non-profit World Resources Institute. But it will be hit the hardest as almost 80 per cent of the population directly depends on natural resources. “The funding needs to address climate change effectively, in particular for adaptation, are high in the region, and will increase as climate change unfolds in the coming years,” warns the Bank. Such predictions have rattled African leaders, who frequently voice the urgency for climate adaptation and mitigation at domestic, regional and international forums. Adaptation means measures that make people and governments resilient to climatic vagaries. This includes everything from diversifying agriculture to developing early warning systems for natural disasters. Mitigation measures, such as switching to cleaner sources of energy, are the other half of climate action. So far, 63 per cent of African countries have estimated their needs for adaptation financing in their Nationally Determined Contributions, compared with 27 per cent in the rest of the world. Yet, financing adaptation measures remains grossly inadequate for Africa; as of now, just $3 billion a year has been made available to the continent. First, almost 70 per cent of the funds committed by developed countries to finance climate action are tied to conditional loans and credit lines. Besides, several countries are yet to link the risk factors to climate change. For instance, Ghana, despite enough research showing climate change has pushed incidence of water- and air-borne diseases, has failed to link the 2012 National Climate Change Adaptation Strategy with its National Health Policy of 2007, and there are no projects to address the health risks due to climate change. As a result, several African countries are trying to be self-reliant in climate change adaptation. The continent is already spending more than its fair share for climate adaptation, says a 2017 UNDP-Africa report. Public expenditure on adaptation by African countries constitutes 20 per cent of their total needs presently, which is significantly higher than the adaptation resource flow from international sources. “Although the level of investment as a proportion of GDP expenditure varies among countries, it ranges between 2-9 per cent of GDP, and represents more than other forms of expenditure in public services such as healthcare and education,” says the report. South Africa plans to introduce a carbon tax bill to meet its adaptation and mitigation commitments, while Kenya has developed a fund to accelerate adaptation in priority areas (see ‘Cost to survive climate change’). The voices for self-reliance in climate finance are not new, but for the first time, there seems to be some collective motion beyond the voice. Under the blazing sun, small farmers of Nakuru, a semi-arid village some 150 km from Nairobi, are harvesting bumper crops unperturbed by the fact that the monsoon has eluded them in recent years. Patrick Ndung’u, who has harvested bulb onions and potatoes from his 5-acre (a little over 1 hectare) land, is neatly packing the produce in sacks for traders to collect from his farm. On an average he earns Sh4,000($40) a week by selling vegetables, which he grows on a rotational basis. Just three years ago, when parts of Kenya, including Nakuru, were hit by a severe drought, Ndung’u was among the worst affected. “I had planted Irish potatoes and the entire crop got nearly burned. But it taught me a lesson,” he points out. 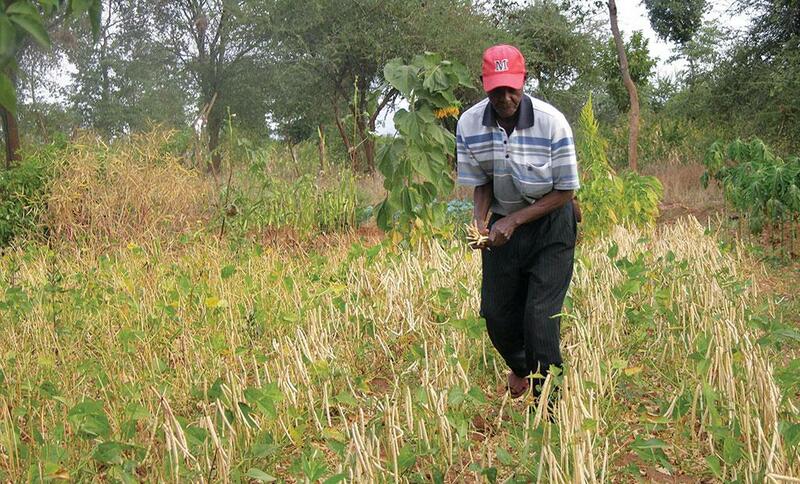 After the incident, Ndung’u divided farms in the village into 40 small plots of 0.5 ha each and grew a variety of crops. He formed a self-help group along with other small farmers, and together, they dug small ponds, of 400,000 litre capacity, in all farms in the village. “Hiring labourers is too expensive for us. So we did all the work ourselves,” says Kariuki Wachira, another farmer. “It took us a week to dig a pond in every homestead. But the challenge was nothing compared to what we face during droughts,” he says. The ponds, then lined with an ultra-heat treated polythene sheet to prevent percolation, were then used to store harvested rainwater. To minimise wastage, farmers acquired drip irrigation kits that directly feed water to the crop roots. Tillage was kept to the bare minimum so that soil retains moisture for long. The farmers are also shunning traditional water-guzzling crops like maize and growing drought-tolerant crops. Ndung’u says he grows red and white bulb onions that require watering only twice a week. In Makueni, part of the arid Eastern Kenya, farmers are innovating to survive against all odds. “I use a chisel-shaped plough, known as spring plough, which digs deep into the soil beyond the hard pan. This increases rainwater infiltration into deeper layers,” says Peter Ndabi of Makueni. Kenya’s current per capita water availability is less than 600 litres per day, which is below the global threshold of 1,000 litres, making it one of the chronically water-scarce nations. But a study by the World Agroforestry Centre (ICRAF) and the UN Environmental Programme shows that Kenya’s rainwater potential is above 350 trillion litres, which means farmers can benefit from investing in rainwater harvesting. Victor Gitonga, a water engineer at Netherlands Development Agency-Kenya, says farmers can increase their productivity by at least 20 per cent by increasing water storage and use of technologies, such as lined ponds, drip-irrigation kits and solar- powered water pumps. Micheni Ntiba, former permanent secretary with the ministry of agriculture, says a combination of right technologies such as water harvesting, hybrid seeds, timely planting, crop diversification and post-harvest management will help farmers adapt to climate change impacts. Land is a valuable possession around Blantyre, the commercial capital of Malawi. Grace Manda owns 1 ha of farmland here but has lived most part of her life complaining about acute poverty. She lives in a mud house and struggles to arrange food, clothes and school fees for her three children. “The region hardly receives any rain, which has made the soil hardy and barren. Even if I take up cultivation, the land cannot grow enough for us,” she would say. But that was some 10 years ago. In 2009, Manda attended a meeting on conser- vation agriculture organised by the National Small- holder Farmers Association, and since then her life has changed for the better. Now she grows crops twice a year. She is not only able to afford her children’s school fees but also has built a better house and is taking care of her mother. Due to her farming prowess, she now gets invited to training programmes on promoting farming as business, climate smart agriculture and market exploration, and in the process has become a role model to most women farmers in the country. “All I did was practise conservation agricul ture,” Manda adds. This new method of farming promoted by the TerrAfrica Sustainable Land and Water Management partnership, popularly known by its acronym CA, is “a concept for resource-saving agricultural crop production that strives to achieve acceptable profits together with high and sustained production levels while concurrently conserving the environment”. The Food and Agri cultural Organization (FAO) has determined three key principles for CA: minimum mechanical soil disturbance or no-tillage; managing top soil to create a permanent organic soil cover; and crop rotation with more than two species. The simultaneous application of the three principles help boost yields. With regards to climate change, CA advocates building and storage of soil organic matter, which is important for seque stration of carbon in soil. Carbon is derived from the atmospheric CO2 taken up by the plant and added to the organic matter when the plant dies. In a world concerned with the buildup of atmospheric greenhouses gases (GHG), CA presents an opportunity for reversing the GHG buildup, says a 2009 FAO report titled, “Scaling up conservation agriculture in Africa: strategy and approaches”. The practice is not limited to Malawi. At a recent CAADP Africa Forum, a platform of excha nge for people working in agriculture, held in Johannesburg in South Africa, various speakers backed CA as key to sustain agriculture in Africa. As the impact of drought continues to unfold, water shortage is compelling industries to innovate to stay in business. Globally, South Africa is the 30th driest country, and climate change is going to hit it hard. This became evident recently when Cape Town, the country’s second-most populous metropolis, was in the throes of recurrent droughts, with the severity of water scarcity peaking by the year. The message that water shortage is the new normal hit home, and prompted both the industry and communities to act. Ian Neilson, the city’s executive deputy mayor, says Capetonians are now using less water for daily needs and recycling grey water. 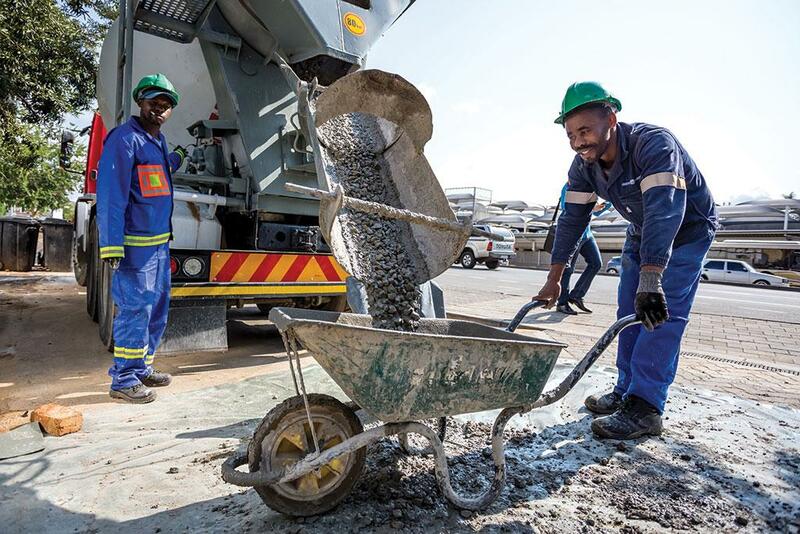 The city authority has also diversified its supply system by sourcing water from groundwater, desalinated plants and recycling units. This changing culture is also influe ncing the business community. In June 2017, the city proposed water reduction measures after clouds failed to precipitate and analysts said that the city would run dry in weeks. Responding to the situation, Calgro M3, a real estate company, scaled down the develop ments of its 1,750 residential units. Located in the water-scarce region of Epping, industrial suburb of Cape Town, pharma giant GlaxoSmithKline (GSK) is reaping the rewards of water conservation measures. It demonstrated a 42 per cent reduction in water usage from 2010 to 2016, a figure that has reduced by another 8.04 per cent in the past two years. “The success can be attributed to GSK’s water reduction targets for all factories in water-scarce regions of the world. This encourages constant improvements in our ways of working with water,” says Brighton Ochieng, Cape Town site director, adding that GSK has a team dedicated to reduce water footprint of the factories. In fact, Ochieng says, their site plans for 2018 include the recovery of certain wastewater streams for treatment and re-use. A large cooling tower will be decommissioned and a rainwater harvesting and treatment system will be installed. 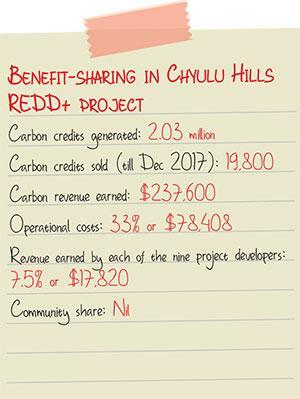 “The site is targeting a 20 per cent water reduction in 2018 and a further reduction of 20 per cent in 2019,” he says. Industries are hesitant to invest in water efficiency improvements just based on the resource cost as often pay backs are not there, says Kevin Cilliers, senior project manager at National Cleaner Production Centre in KwaZulu Natal, a division of the Council for Scientific and Industrial Research. “However, we have seen a shift in thinking. Some organisations are now looking at investment payback more from a risk perspective of not having water at all and not being able to operate,” he adds. At the 2015 UN Climate Change Conference, dubbed COP21, the Uganda government committed to reduce carbon emissions by 22 per cent in a bid to transit to a low-carbon climate resilient economy. Today, the country has both adaptation and mitigation strategies in place as part of its climate change policy. As part of the mitigation strategy, the country plans to improve its forest cover, which has declined from 35 per cent to 15 per cent of the land surface between 1890 and 2005, with an estimated annual forest cover loss of approximately 88,000 ha a year. 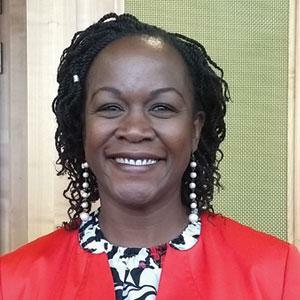 Recently, Mary Goretti Kitutu, the state minister for environment, presidential directive to give out tree seedlings to all Uganda’s legislators for planting in their constituencies. The plan is to bring some 400 ha under green cover, with a focus on Sango bay areas in central Uganda which have been affected severely, Kitutu adds. Since firewood harvesting and charcoal production have been major drivers of deforestation and forest degradation in Uganda, the government is also promoting renewable energy. The government estimates that Uganda would need $2.9 billion to implement mitigation strategies, which involve increasing renewable electricity generation by 3,200 MW by 2030 and improving forest cover by 21 per cent and wetland coverage by 12 per cent. At the same time, Uganda’s climate change policy has laid out strategies to make communities resilient to climate change. Consider the semi-nomadic herders of Karamoja. The community believes that their god, Akuj, had given them all the cattle in their known world. To them, cattle are royalty and the number of cattle one owns measure the value and recognition of an individual. And they would go the extra mile to find new pastures and water spots for their cattle in this arid region of Uganda. But dry spells and erratic weather have further pushed them to the brink. Lokonoia is one such Karamojong who lives in Laboktom village of Amudat district. Till a few years ago, he was notorious for causing road-side ambushes using AK rifle ammunition and killing people to raid cattle. Today, he is a farmer. Surrounded by dry grassland, his lush green sugarcane field appears like a mirage in the desert. 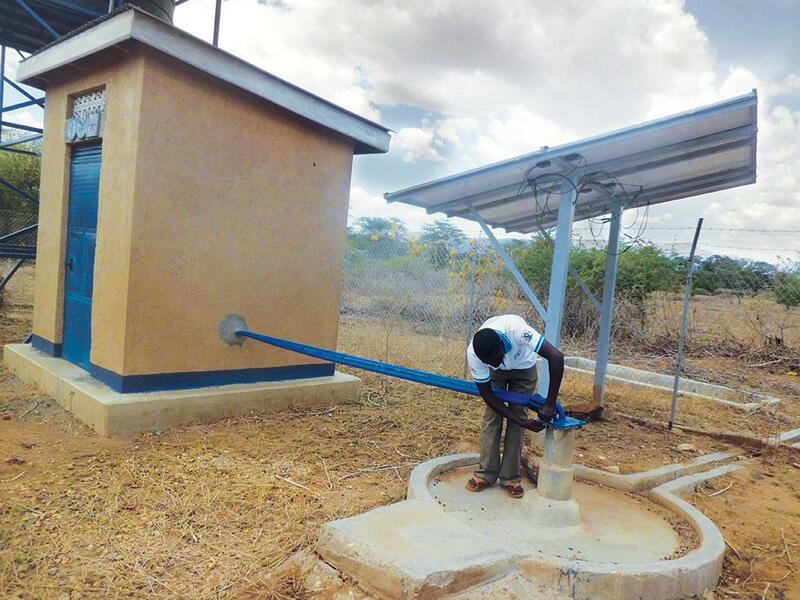 He irrigates the farm using solar-powered pump. On part of the farm, he grows vegetables, such as amaranth, cowpea, cabbage, onion and tomato, using drip irrigation. Along with the other farmers, he sells the produce in a ready-market in Kenya, across the border. “We sell the vegetable as a group and the money goes to the village saving scheme where the profit gets shared among the residents by the end of the year. 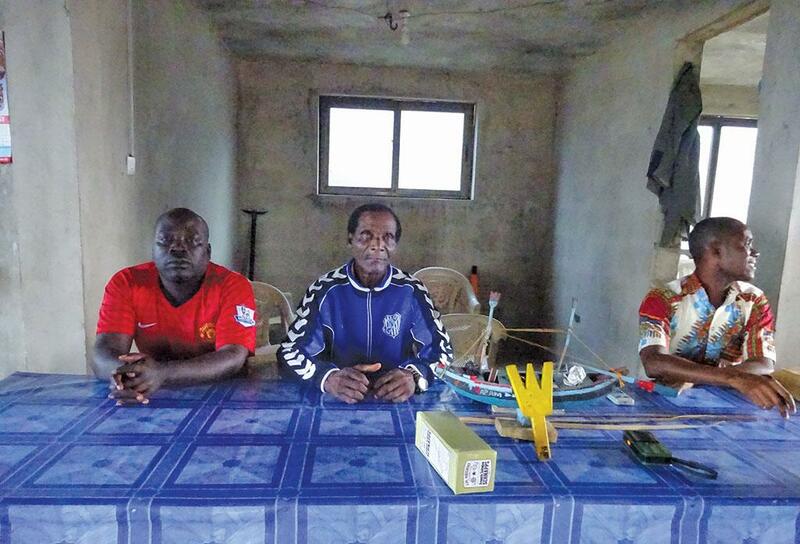 This helps us in paying our children’s school fees,” says Lokonoia. Such income from farming was not heard of in the region till about eight years ago when FAO set up farmer field schools to change the community’s mindset and help them market their produce. “The dry, harsh weather is not new to us. But we are glad that development partners have drilled water facilities for us. Previously we couldn’t grow anything as we would rely on rainwater which is so scarce,” narrates Lokonoia. Animals are also kept at water collection points. He has also been able to purchase solar power system which he uses for lighting his house. “I can now avoid bush fires which are so rampant in Karamoja during the dry season,” he says. “Climate change affects not only the environment but also agriculture, energy generation and infrastr ucture development among several other sectors, and hence the prioritisation of interventions,” says Alexander Chiteme, Zambia’s Minister of National Development and Planning. 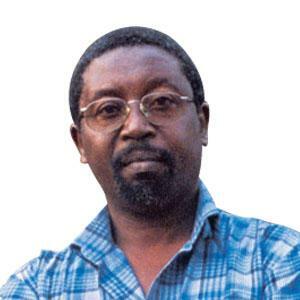 Chiteme’s views are particularly true for his country, where agriculture is primarily rain-fed and 84.5 per cent of the electricity is generated through hydropower plants that are rain-dependent. In 2016, acute water shortage had hit its power plants. “The average load-shedding is eight hours a day and out power imports have increased by 178.26 per cent,” says Chiteme. The country is now investing in renewable energy both on and off-grid. This, it believes, will also improve rural electrification which currently stands at just 4 per cent. “We are taking measures to invest in renewable energy sources and enhance our technology to invest in agricultural production that can circumvent climate change variabilities, however, the rate at which we are being affected by climate change is faster than our capacity to cope,” he adds. The country has started a project to help farmers switch to drought-resistant crops and reduce their vulnerability due to climate change, he says. The government says a resilient agriculture sector will contribute to food security and job creation. Agriculture and electricity generation are now the priority sectors under the Seventh National Development Plan, which utilises the Green Climate Fund. In 2008, Zambia became one of the first three African countries whose climate adaptation plans was funded by the Climate Investment Fund, the world’s oldest and largest global climate finance mechanism. If we talk about Sub-Saharan Africa, the challenge posed by energy poverty is quite serious. Of 1.2 billion people living without electricity across the globe, 0.8 million are in SSA. What does it mean? It means that these many people are relying on inefficient way of lighting. For instance, they use kerosene which is detrimental to health and environment and also a drain on the finances of the family. When it comes to cooking, the same unhealthy ways are followed. People use charcoal and dung which are again harmful for health. 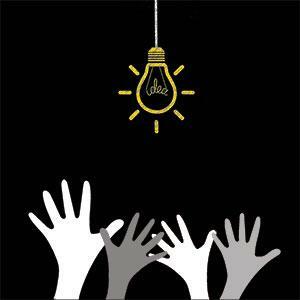 So, power shortage is a big crisis impacting human life in big way. And it exist in 2018, when the rest of the world has made significant advances to provide electricity, LPG and other cooking gas solutions that have no negative health impact on people. 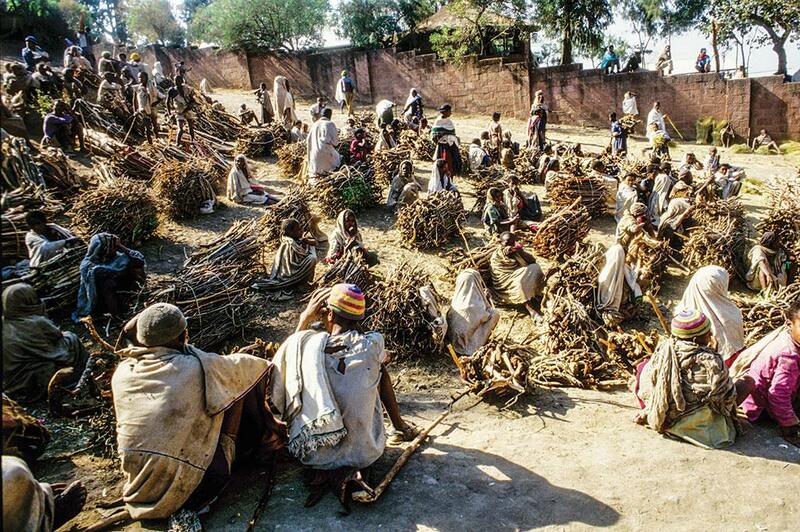 The biggest victim of this energy poverty are women who are engaged in a number of works that require energy. Other than cooking on inefficient fuel, they are the victim of another sort of energy crisis. For example, if there is light in one room only, the room will be used by the male members of the family. So we need to create awareness about the impact of energy poverty on women and also their participation in the whole energy access debate. Women’s participation should be considered while making policy regarding access to energy and management. I live in Kenya where the statistics are quite troubling. Around 1,500 Kenyans die every month due to indoor air pollution. Any big disaster attracts our attention but if one compares these deaths with those reported during disasters, we will realise this is a bigger crisis. Thus we need to get our priorities right. As far as energy transition is concern, it is happening. Countries are leapfrogging towards solutions, especially off grid solutions, and moving towards renewables like solar energy. When it comes to electrifying Kenya, hydro and geothermal energy play significant role. People are also realising the importance of renewables. So the transition is there but it is not happening on a big scale. Governments’ policies are the main culprits behind Africa’s energy crisis. These governments should also prioritise energy crisis with similar eagerness as they are prioritising health and education for the masses. The second big challenge in energy transition is funding. And funding needs to be done for the set target keeping efficiency in mind. 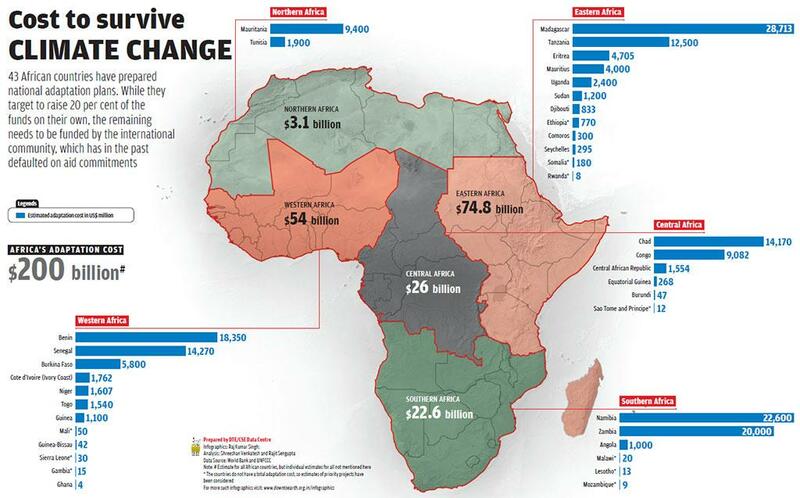 The third big challenge is the conflict in Sub-Saharan Africa. Many countries are witnessing conflict and it is a big hindrance. Take the example of South Sudan. We had an understanding to establish 20 MW solar power plant in the country but just when we were about to begin the work a war broke out that has continued for five years. Our investments were lost. Conflict also creates barrier for foreigners to come to the community and bring solutions. However, this cannot be an excuse because the conflict in South Sudan does not mean Kenya, Uganda or Namibia cannot prosper. Why is there no investment in these countries for energy transition? Diesel generator is the most common off grid solution but it is not a solution we can continue to rely on.